My latest make is a bit of fun. One of those times when a fabric just leaps out at you and demands to made up into something very specific. This is a cheap Spotlight cotton print at $6/m. I has a black background and a purple tinged grey silhouette of a retro lady. It creases like crazy. These photos were taken after wearing and sitting in this skirt for several hours. So, how is it, the eagle eyed amongst you may ask, that this skirt is not a mess of wrinkles across the hips? Well, I am glad you asked. Here is a technique I stumbled across while learning some couture sewing techniques and the reason why I buy metres of this stuff in whatever colour I can get my hands on whenever I see it on sale. Silk Organza Underlning!!!! This is truly the stuff of miracles and converts a cheap creasing cotton into something that feels, looks and wears like a much much more expensive and better quality fabric. Anyhow, the pattern is my trusty TNT pencil skirt – the Burdastyle Jenny, this time with the waistband omitted and a simple black bias binding for the waistband instead. I used a centre back lapped zipper and added a ruffle to the bottom because I just like it and was missing my old self-drafted ruffle skirt that I made a couple of years ago and is now about 2 or 3 sizes too small (oopsy). 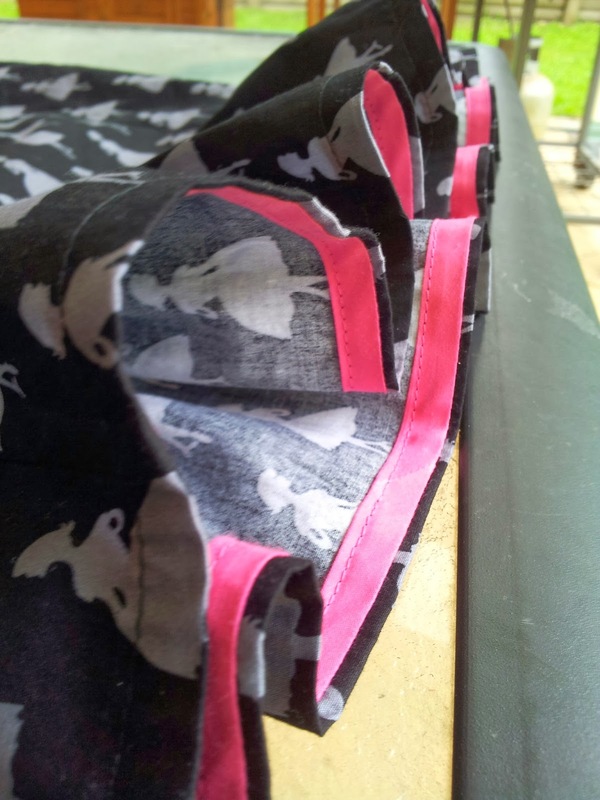 The ruffle hem is finished with some hot pink bias binding, that just a flash of here and there is seen when I walk. 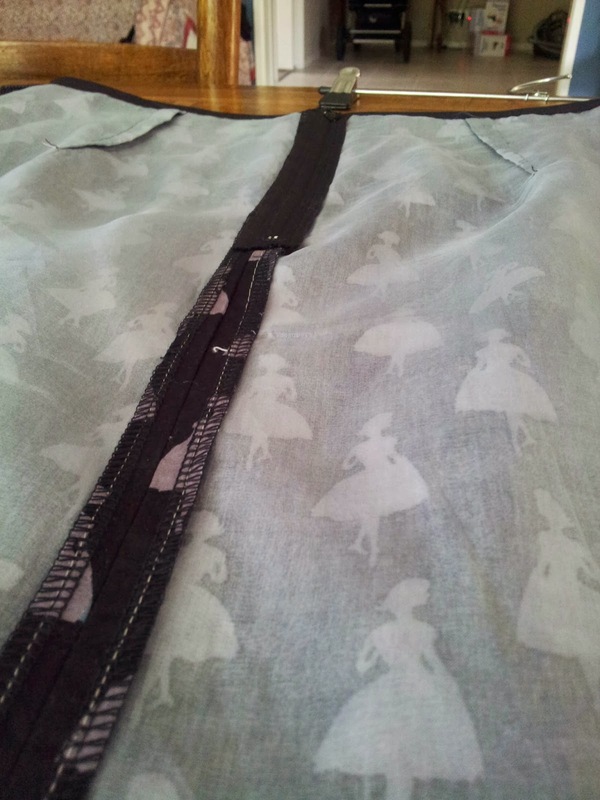 The centre back seam showing the organza underlining. The ruffle is made from three pieces of fabric joined together with french seams. Here it is from the wrong side. And here it is from the right side. 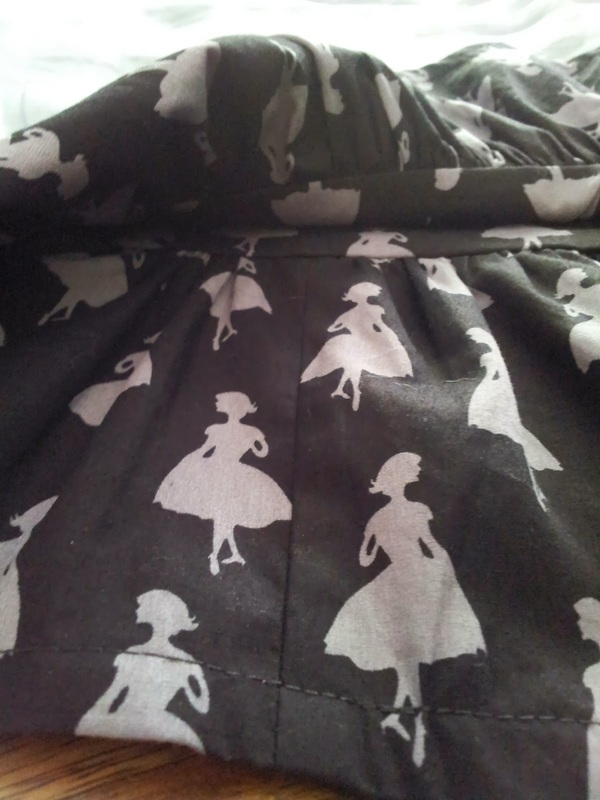 The pattern matching was not too hard as I could seam fairly easily down the centre of the solid black part. It makes the seams almost invisible though. The best shot I could get of the back. 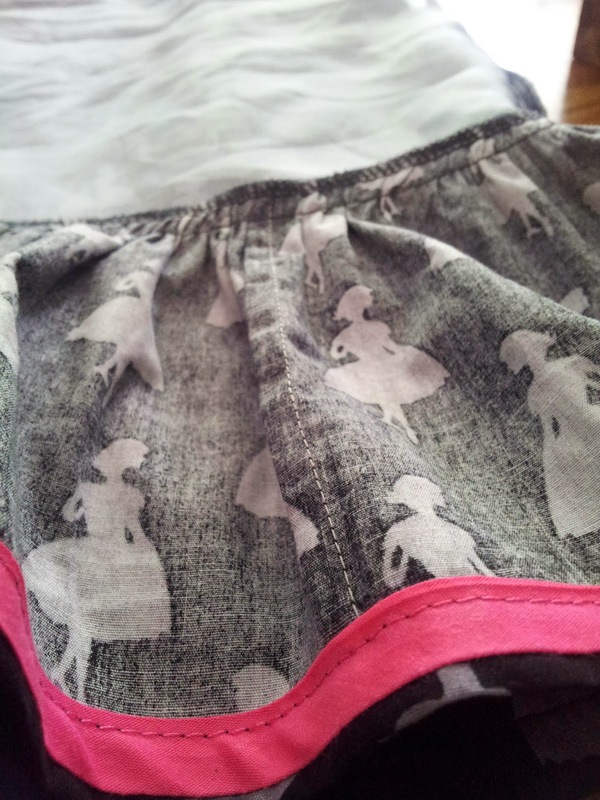 I am happy with the centre back seam, I managed to get the pattern matching spot on (yay). I didn’t even attempt to pattern match the sides as I do plan to take this in again when I get my fitness back on track. Until then, its worth the effort to have a properly fitting dressy skirt. I do notice that even a couple of sizes up it really doesn’t show as long as my clothes are properly fitted (and not tight in the wrong places). 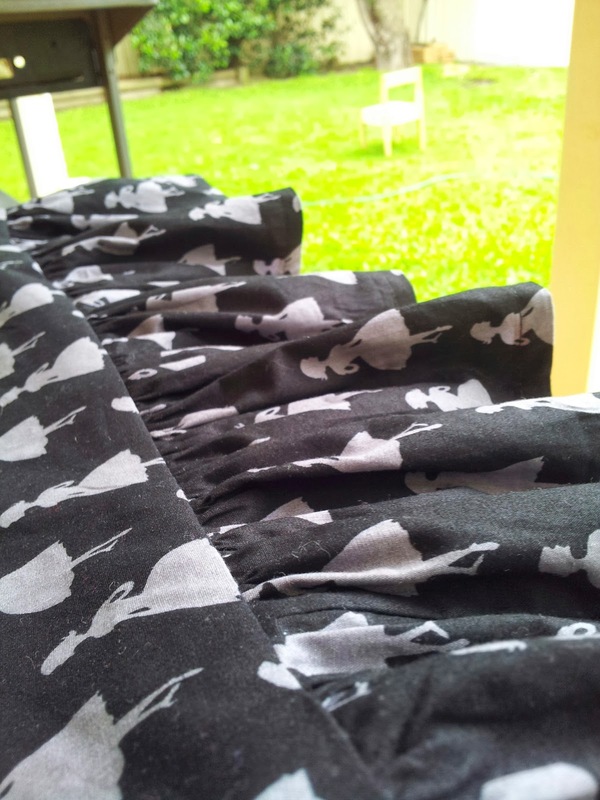 Cost: $8 for the retro print cotton, and about $5 for a short length of organza for the underlining. Pattern I have used twice before and everything else is from stash.